Congrats to #246: Pam, #1318: Michele, #332:Shirley Elizabeth and #644: Tanis! All winners have been contacted, congratulations! Remember, you still have until Dec. 15th to use the code OBB25 to get 25% off your entire order, so get shopping! If you’re looking for a unique gift idea for people on your Christmas lists, I’ve got the perfect thing for ya! I love these watches. My husband has had one for a while now, and I finally got my own! These have super soft silicone slap style bands, which- as you might remember from the 90’s, are super fun. Just ask my kids. I keep telling them these are functioning adult watches and they insist they are swords/light sabers/super hero collars/slapper-thingies. Did I mention they are sturdy? Very sturdy. They’re really comfortable too. I love the size of the band and the modern style makes them cool to wear every day, but they’re functional enough to wear during a workout too. The fun thing is that the bands and faces are interchangeable. Everything comes in the six colors you see in that first picture so you can mix and match. Any Boise State fans out there?? My husband has a black Simpel, and I have a pink and a white one. That makes for lots of fun mixing and matching. If I could only convince him to stop trying to wear my pink one…. kidding, kidding. I’m the type of person who will totally buy a book for its cover, so I always appreciate good packaging. I loved the design and packaging when our first watch arrived in the mail. They come like this, but in a hard plastic case- which I would definitely show in this picture if it wasn’t also being currently used as a weapon of some sort. Are you gaining lots of insight into my life with three sons?? I think my favorite part might be that it comes with specific instructions to “Slap it like it’s 1991”. Not gonna lie; they are pretty fun. But they’re also trendy and stylish and look great on both men and women. I think it’s an especially great gift idea for those hard-to-shop-for teens and young adults on your list. If you’re wondering what’s cool, this is definitely cool. And don’t be fooled by the cheap knock-offs you see around at discount stores these days. These are really nice quality watches. 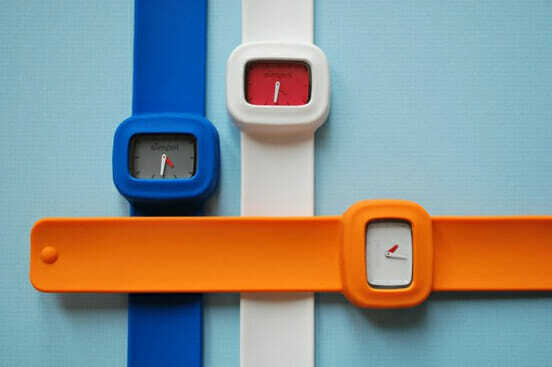 *Four* OBB readers will get a Simpel watch of their very own, in any color combo they choose! 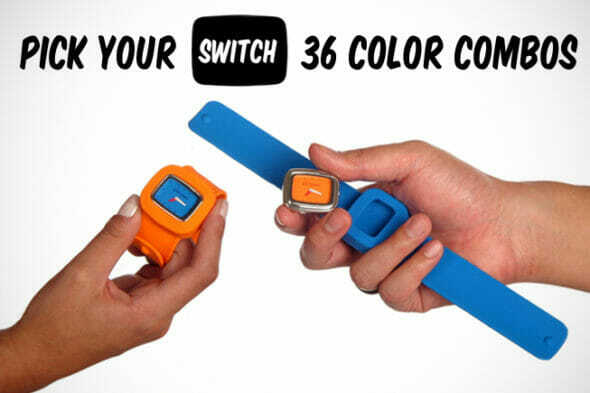 – Visit the Simpel website and check out all of the fun color combinations. Leave a comment below with the color combo you’d choose. -For a bonus entry, head on over to the Simpel Facebook page and *LIKE* it! One click, folks. Easy peasy. Leave an additional comment here on this blog post stating you did so. Email entries are not counted, make sure you are on our website! If you’re ready to do some shopping right now, then you’re in luck. Simpel is offering OBB readers a 25% discount! I love me a good discount. Just use the code OBB25 for 25% off your order, valid until Dec 15th. What are you waiting for? Get shopping! Awesome! I’d definitely do the stone band with the Maui face! Love the pink. How fun! I’d choose the white band with the stone face. What a great idea! My grandkids would love these! I clicked the “Like” and would love a pink band with a white case. You did it again, thanks for a fun giveaway! Snow band with Laguna face — my friends tease me about how often I wear blue. 🙂 And I ‘liked’ the facebook pg. My favorite is the black (mamba) with the black screen! I would love one of these! I liked simpel on their fb page! I’d love the stone (gray) band with either maui (pink) or snow (white) face! I would go with Laguna strap and Stone face or Stone Strap and Laguna face. I’m boring. I like the stone (gray) with the mamba (black) face. I love the pink, but I’d probably have to wear white for work … I love the slap thing!!!! I would love the snow and Maui!!! I like the orange band with the black face. I love ALL the colors!! Couldn’t pick a combo! I love the stone band with the maui face!! So cool! Stone & Snow – love it! I love all the colors, but I know me and I would end up getting the white on white so it would go with everything. Great gift idea (I pinned it!) and thanks for sharing. I would love a white one with a pink face. so much fun! Very retro! I’d pick a blue watch with an orange face, I think. Cool! I’d like the snow band with mamba face. I like things in black and white. I love the gray watch with orange face combo! These are so much fun! Blue is my favorite color, so I was thinking blue with a white face… but that blue with the orange face that’s pictured looks really nice too! i’d love a black one to mix up the inside color with! Snow with Maui would be really cute. Or Snow with Tangelo. Or Stobe with Maui. Too many choices! PS I am super excited that you guys are coming to Orlando with TOFW!!! Stone band with laguna face! Awesome! I *love* the stone band and the tangelo face! I love the gray watch with pink face. Super cute! I love the white face and black band. I am a total black and white girl!! I loved slap bracelets as a kid! How fun!! I like the stone band with the pink face…too cute! I like the gray watch with pink face. Neutral yet girly at the same time! I just ‘liked’ Simpel on FB!! I would choose the stone band with the laguna face. Or the tangelo face. Either are really cute! Love the gray with black face. I think stone with pink. I like the gray/orange combo, but realistically, it wouldn’t match anything I own! I would go for the Mamba band and the white face. I liked them on FB. Very cool. I guess I’m boring – or maybe just practical? 😉 I would take the snow band with a snow face, so it would go with anything! Thanks for the chance to win! I’d try the Tangelo/White combo. So cute! I also like the Simpel FB page! maui with laguna, or visa versa 😉 these are adorable! Speaking of 1991, I remember having a watch set that had interchangeable bands and faces. I think I’d have to go with mamba with a laguna face. It’s about time I went back to a watch instead of always carrying around my phone. FB, done. I think the stone & snow would look awesome on my husband. Its a watch he would actually wear! I would choose the snow band with the maui face. Very cute and fun! I would use Orange and gray. A real pop of color!!! I love the stone band with the tangelo face! Beautiful. Snow band with a maui face or vice versa. Love their watches! also “liked” their fb page. Thanks for doing fun giveaways like this! I love being introduced to new products. Grey watch with white face please! Thanks for the giveaway. I like them all but the Mamba band and pink face are my favorite. gray with orange or pink! Oh how fun, I think my favorite is the snow watch with a laguna face or the stone with maui face so many choices! I’d pick white on white. stone watch with a maui face. Fun watch. love the red and white one! I love these…so cute! I would definitely choose the maui band with the white face! I think I’d like the Maui one! Stone strap with mamba face… yay for slap bracelets for grown-ups! I love the snow band with the stone face! So cute! These are just my style. Way cute!! And…I “Liked” Simpel. I like the Tangelo with the gray face. I now follow simpel on facebook, thanks! I would do stone with maui. These are so cool! I love these. They remind me of swatches. I like the stone watch with the white face. So cool! Mamba with Laguna face… love it! WOOHOO! I would pick the stone watch with a snow face! Thanks for the chance. My boys love watches. I like the Black and orange, our school mascot is a Tiger! I’m liking the white (snow) band and grey (stone) case! So fun! Definitely the stone band (gray) with the Maui face (pink). Love them! Love the pink face and white band. I like the mamba with snow face, or the snow with mamba face. Boring, but it would match most of my wardrobe. The snow with the maui face is pretty cute too. So many options. I would probably pick the black and pink. Something basic and one with fun color! I would do the Maui band, with stone face, OR Tangelo with Stone face. I think, it’s hard to decide they all look awesome! Love them! I liked Simpel on Facebook ! These are awesome! I lke the snow colored watch with the gray face. I like it simple–Mamba with a Snow face. Very fun! I love the stone band with tangelo face!!! How fun! Maui band + tangelo face = FUN! Very cute! I would pick the pink one with the white face. I “liked” their FB page! laguna with snow face for me, maui with mamba face for my sister! Great giveaway 🙂 I love the Stone band with the Laguna face – these watches are awesome! I <3 this! Stone band with Laguna face is my fave…I think. They're too fun! I would choose the snow band with the maui face! I also LIKED them on Facebook, how could I not?? Thanks for this fun giveaway! I would get this watch for my son, who loves blue. I would get the blue (laguna) watch, either with the black center or the orange center. How fun. I would definitely choose the white with a blue face! So cute! And I liked the Simpel Facebook page!!! I would pick white with a blue face. Super fun! I’d choose Stone with a Laguna Face. how cute are these?~!!! really likin’ the mamba on maui.. or the maui on snow… or the snow on stone… or snow on laguna.. shoot they’re all cool! I love the stone band with the maui face! these are so cute! i like mamba. Love the maui with the white face. You have great taste! I like the mamba with the white face. I would pick the maui band with the stone face. These look so cool! I’d choose the stone band with the maui face. Liked’em on FB too! I’d go with the black mamba and the maui face. Love it! I would definitely do the Stone band with either the Maui or Laguna face! I love the Maui pink/Snow white combo. Although I’d love just an all snow one too…and I’m sure I need a Mamba black one too. Better go write Santa and let him know we’ve got a few last minute additions! I liked Simpel on Facebook. Definitely like the “snow” band…probably with a pink face. I would love a stone and white one. Thanks for the chance. Do I go neutral or flashy? Hmm. It’s got to be tangelo with a snow face! Let me tell you this is a great idea for those of us who can’t find an inexpensive watch that doesn’t slip around. And maybe my 96-year-old mom should have one, too. Her wrist is really slim. How fun! I’d get the Snow band with the Laguna face. Love these! I would use a mamba band with a snow face most of the time, but i love all the colors! I love these watches. The chunky band is my favorite and who can resist a slap band?? Love the stone with maui, and the snow with mamba or stone- all very fun! Fun! I’d do stone band and pink face. Black band with gray face. think i’m getting leguna with stone! thanks, that takes care of one 13 yr old girls Christmas present! I like the white on white! I know boring! :) I also like the gray on white…they would go with anything! btw, I’m so excited that you will be at TOFW!! And in Denver!! I’m hoping to see you there! I would choose the white band with the pink face….thanks for the give away! I liked the Simplel FaceBook page, too. Hope it’s a winner! i would choose the stone with maui face. I am super boring but I like the all-black one best. Goes with everything! I love the Maui colour combination. It would be a great gift for my niece, who is in the 9th grade, and wouldn’t remember the first time slap bracelets were out! i’m a pretty boring person…. I’d probably get the black on black! Stone band w/ a maui face. I love pink & grey together! I’d go for the Stone band with the Maui face. I think. Or all snow or all mamba—classic. My 4-y.o. grandson saw slap watches at Target and reeeeeally wanted one. We didn’t buy it for him because a watch is to let you know what time it is and he doesn’t know how to tell time. We ended up buying him a slap bracelet that said Harry Potter on it. He also, like your boys, uses it for a sword, weapon, boomerang, etc. I’d go with orange and white if I were to gift it to my daughter, and I think I’d pick blue and white (go Cougars!) for myself! Just “liked” their page on FB. Maui band with a Tangelo face! So cute! I would do the stone band, with the stone face & also the Laguna face for the days I want to mix it up a little! Snow on Snow, since we don’t have snow in MN yet! I love the Snow with the Maui face! Awesome! I like the tangelo with the hot pink face or the stone with the black face. So cool. I like the stone for the face and the band. I like stone. Or maui? I would love a stone band with a tangelo face. Nice. I’ve liked simpel on fb. I was totally shopping for a slap watch online the other day. These are really cool. Love the mamba or stone with maui. I like Simpel on FB. I liked Simpel on Facebook! I would love to give my wife the snow band with the Laguna face. And now I like them on fb. These are pretty cool watches! Stone! I love that gray color! I would choose the stone band with the orange face for my son. Those are way cool, I like the simple mamba. Sleek black, goes with anything! Yep, I liked them on Facebook! Fun! Anyone else remember Swatches? I loved my slap bracelet! I’d go with the Maui band and the snow face. Mmmm great giveaway! hard to choose, stone with pink? Thanks for the chance to win! I would choose Mamba with the pink face. Classic! I totally want a black band and a pink face…or a white band and a pink face. Too cute!!! Oooh! I like the stone band with a snow face the best. Thanks for the great giveaway! Slap bracelets remind me of 6th grade! I think I like the snow band with Maui or Stone as the face. Cute idea! Since I’m true blue, I’d choose the totally BLUE watch. I think I’d get the all gray combo or something similar… Simple and classy. Maui with Laguna would be my favorite. I like the snow band with the pink face. So cute! I have been needing a new watch for a while now, this may be the one, Thank you! This is TOTALLY what I’ve been looking for and would love to win! Ooh! 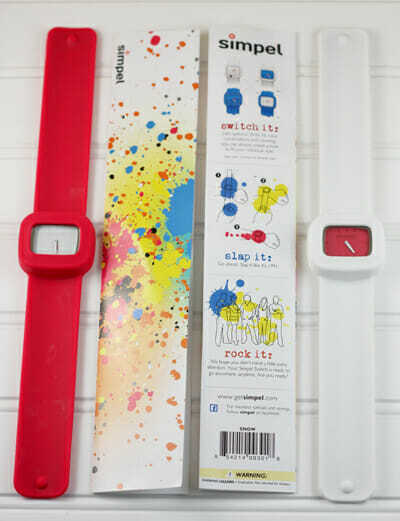 My daughter has a similar one from a boutique called SlapTime Watches. I would love one of these for myself. I’d get the tangelo band, and a maui face. I would probably pick the snow band, because I can see myself wearing a white band when dressed up (probably with a blue face, depending on what I’m wearing)! I love the Maui– pink and white color combo. These are so cute! I would love the maui band and snow face!! Fun! I loved those slap bracelets! I’d pick the mambo band + maui face. Or the stone band with laguna face. Or … Too many choices! 🙂 P.S. I also liked the Simpel facebook page. I liked their FB page!! I’d pick the snow band with the maui face! I like the white band with the gray face. Mamba watch with maui face! So cute. I love the Mamba band with the Stone center. Classic and even professional! Thanks for hosting this giveaway! I’d love to win this for my watch-loving husband. I like Simpel on Facebook, too! I’m going back and forth on the Maui band with the Stone face and the Stone band with Maui face! Decisions, decisions! Snow on snow baby. Simpel, and clean. I liked Simpel on FB! I love the snow and tangelo together! Love ’em! I’d get a Mamba with a tangelo face for my hubby! I love orange. I want the orange with white face. Thanks. I liked ”em on Facebook! I like the snow with the Maui face! I would do the stone band with the snow face! ooooh I LOVE THESE! SO COOL! Snow band with Stone face… gotta have one! Thanks for the chance to win! I would choose snow with laguna – makes me think of a beautiful beach with white sand and blue water! Can you tell I’m dreading winter?!? Oh! I’d get the blue band with the gray face! It’s really difficult to choose, so I’d probably end up getting a couple combinations to suit my mood for the day. love the white on white … fun, fun. The tangelo face would be fun too 🙂 Cute idea, thanks! Love the white band with the Maui face! I’m kind of boring so I’d go with the snow (white) or the mamba (black). Thanks for the chance to win! Snow with a Maui face! I’ve never seen these….I must be living on another planet!!! I would go for a white band with the Mambo (black) face!!! I love the white on white combo. So hard to choose! But probably the snow case with the Maui band. It’s adorable! Oh…and I liked them on facebook! These are so fun! And I love the instructions. 🙂 I would pick white with pink face. Or maybe a blue face. Or maybe black band with pink face. So many choices!! Ooh, I think my tween son would love a mamba one with a stone face or vice versa. I like the white band with the orange face! So many color combos and it depends on my mood. But today it would be black face, pink band. Sooooo cute! Maui and Mamba. It’s not just fun to say but they look good together. It’s for my 12 year old daughter anyway. Pink anything is good to her. She’s Asian so she always looks good with black accessories. I would choose snow with either the maui face or mamba face! I “liked” simpel on facebook. I would love the black with either an orange or pink face! I would get the black watch w/ orange face for my 12yr old son! Thank you for the opportunity! I would get the blue one with a white face! So cute! I love the Stone band with the Tangelo face or Maui face, it is so hard to decide. Love these watches. Liked them on Facebook. I would love the black band with the maui face. I would get the snow one, white band and white face. ummmm pink band white face – I think…. hard to choose with so many colors! I “liked” Simple on facebook. wow. that was hard to pick, but i think i would go for the stone colored band with the bright pink face. love it! I like the laguna and tangelo together. Fun fun! Well, beside wanting all of them, I think I’d start with snow. maybe with a stone face. I like the Laguna band with the Maui face. What a cute idea! Call me simple, but I love the snow on snow! Clean and cute! I love these! Definitely the stone band with the laguna case. Or vice versa. I love gray accented with bright colors! Hmmm… how do you pick just one? I need the white & blue for the BYU games, the orange & black to wear all through October, pink & white for February… looks like I’ll need one of every color! Thanks for showing these — never seen them before! Oh my heavens, this is fabulous! I would choose the snow watch with the maui face. I hope I win, I love these watches! I’d get the maui/tangelo or maui/stone or tangelo/white combo. I like Simpel on Facebook! i’d do the mamba band and stone case – my husband and i both get rashes from metals, so this looks like it would work for us! I think I love the white band with orange face 🙂 Do you think they will fit kids (8-12 year olds)? It would make a great stocking stuffer! I’d choose a tangelo band with a laguna face. Love those colors–my sil’s race car colors. Thanks for the chance to win. I love the snow combination! I also “liked” their page! Awesome watches! I like the stone band with the pick face. So cute! I would like the stone band with a maui face. fun!! Snow band with Maui face is awesome!! modern……….yet chic !!!! Luv them ! Stone face with a white band! Mama likes. I like the Snow band with the Maui face. I love that you can change it up! Hey, great giveaway! Would love snow watch, black face! I definitely would get the Tangelo cover and Maui case. I wanted these to be our wedding colors but my husband refused. 5 years later, I still like the colors together! I also liked Simpel on facebook. I love these! I’d choose the mamba (black) band with a blue face. I’ve just liked simpel on facebook! I love the white with the stone face! All the colors are great! Fun stocking stuffers for my kids! I would love the white one with the pink face. My daughter (age 6) has a few slap bracelets, so she’d probably try to steal it! I think I’d go with black band, blue face. These are awesome! I would choose a Maui band and Mamba face. Like, like and even facebook like! I love simple watches so I would like the mamba(black) band with the snow(white) face! These watches are lovely! Maybe I’m completely boring, but I love the all-white one (all snow? ha). I also think it would be fun to mix it up with the tangelo. Love that orange! I’m dying over the pink and white one! 🙂 Pick me! I would do the Snow watch. It is simple and would make a statement. I liked them on facebook! Now give me my watch 🙂 Haha. All of them are so stinkin’ cute! Love them! Also liked it on facebook! I like Maui and Stone. Love this. I would choose either the stone & snow or the snow & maui. I love the mamba with all of the colors but I think I would choose it with stone. I love the grey band with the orange face. Sooo cute! My kids would love to wear these too! I like Simpel on facebook. I love a stone watch with a white face. I like the Mamba with the Laguna face. stone band with the laguna face!! These are SOOO fun!! I wanna switch what I’d want.. I think I want the mamba band with the stone face!!! HaHaHa…slap likes it’s 1991! Love it! Would have to go with pink & black or pink & white. I would love to give my son this watch with his high school colors: Stone band with the Tangelo face. Super cute! I think my favorite is the white with a pink face! I would pick the maui and laguna! Too cute! Your boise state comment made me want a red and black, Go Dawgs!! Love the Tangelo with Laguna and the Stone with Maui! So cute! I would love the Laguna band and Mamba face for my son’s highschool, go Bingham! I would choose the maui band with the snow face — my 10 year old would love this watch! I like the white band with the gray face. That would match a lot. They are super cute! Just ‘liked’ Simpel on facebook!!! LOVE the Laguana watch! These are so cool! Super fun. My kids would love these too. oh these are awesome! black on black is my fave! These watches are awesome. I’d pick the Tangelo. I would pick the white with pink face, or the black with white face, or the white with black face. Can I pick three?!? I love all the combos with the gray watch. These are such a cute and simple idea! I like the Tangelo and Snow combination! I love the Mamba & Tangelo, very beautiful watches. I would love to win one of these. Snow band with stone face!! Mamba band with Snow case….These are adorable!! Love the look of the stone on stone. “liked’ the Simpel facebook page, too. Liked the page. These watches look really fun! I think I’d have to say the maui with the snow face. I’d do a stone band with a white face. Classic & goes with everything! I’d love to say that I’d do a white band, but who are we kidding, I’d never keep it clean! I like the black band with the pink face! 🙂 It matches my workout gear, so this would be a great watch to wear at the gym… I would be sooo stylish, even while I sweat! My favorite is the snow with the maui face!! These are SO cool!! I liked simpel on facebook!! & now I like the on Facebook too! I’d love the snow face with laguna band! I like the gray combo the best. How fun! I like the stone band with the snow case. I’m terrible at deciding, I would love all the colors, but probably my favorite it the maui band with a snow face. Wow super cute! Great gift idea…. My favorites color combo is Maui and Stone. I am liking the snow with the maui watch face. I liked Simpel watches on facebook! Love the stone band and Maui face. So Cute! I hate to be boring but I love the simple black and white. White with stone or stone with Maui. Either!!! I’d totally go for the tangelo watch with the maui face–love that orange/pink combination! I liked Simpel on Facebook! Woohoo, let the winning begin! So many cute choices!! I think I would do the stone band with the maui face. Thanks for the chance to win one of these great watches and bringing to light a company I didn’t know about before. Snow band with Maui case. However, all the colors are amazing! What a great product. So hard to choose. I like the clean look of the white face. Maybe with the orange band, and then expand my collection from there? These are awesome! I would love one, it’d probably stand up to the abuse of my kids and come clean easy. Functional and cute, that is perfect for me. I love the black watch with the pink face or the pink watch with the gray face. These watches are so fun! snow band and maui face! love it! I liked simpel watches on facebook. I would do the Laguna with the Maui Face. Maybe the Snow with the Laguna Face. This is a hard decision! I love the laguna band with the maui face! I love those colors! I’ve never had a white watch before, so I would do a snow band with a maui face! I love the Maui with white! Love it! I would do the snow band with the Maui face. Mamba Maui it just sounds like the perfect fit! And the perfect colors! Those are so awesome! I love the color combos! Maui is probably my fav though. I think I’d go w/ a mamba strap/case & a snow watch face. Hi! I’d love a snow with a Maui face! I would get the stone band with a white face. 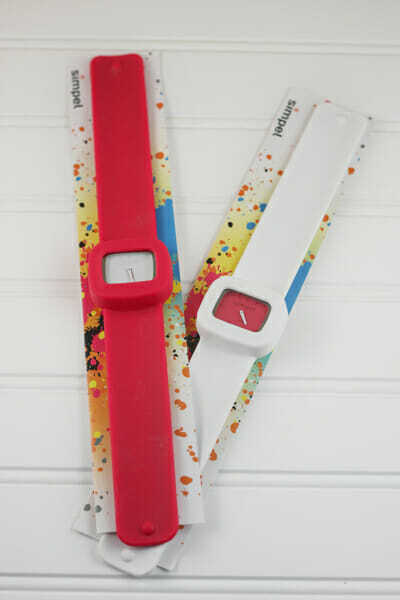 I like the pink band with white or gray face, also orange band with grey face! I love the tangelo and laguna colors together! So bright and fun! I like the white on white. Super cute watches! I would like the stone and snow combo. I could see ordering a few of these as gifts. Heading over to take advantage of the OBB discount. Thanks for the hookup. Liked them on Facebook, too. They are so cute! I would have to get the blue band with orange face— GO Boise State!!! I like the snow with the stone face, but they’re all really cute! I would love the snow band with the snow face! It would go with everything! I also liked the page on Facebook. Oh man! I love the snow band with the maui face! So hard to pick. Black strap (so it will stay clean) with Laguna face. Black and blue! This would be the perfect gift for my teenage daughter. I think she would like the snow band with the maui case. Thanks! I’d like a pink watch with a white face. 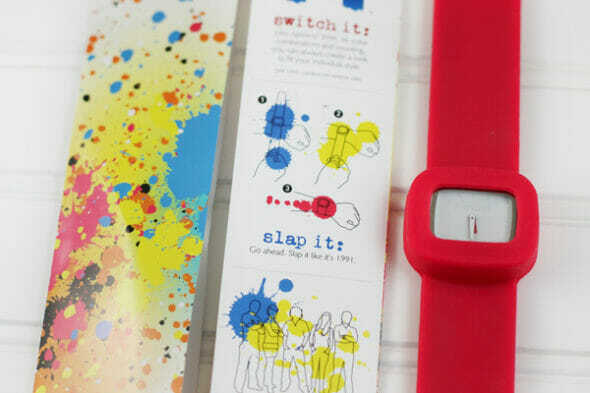 I love these slap watches. So cute! I think Stone band with Tangelo face. Or maybe the other way around. Definitely those colors though! I like the snow band with the black face. Super chic! Pink and white – super cute! How to choose one? I think my fav is snow band with stone face, I think…. Would love the stone band and laguna face. so fun! I love the maui watch with a white face! I love the pink and white! Love the snow band with the stone face. I think Snow with the stone face. But really I could do any of them. Love them all! I would choose a black band with Orange face. My sons favorite colors and he would LOVE this in his Christmas Stocking. I would love the mamba band with the maui face. These are really neat! I “liked” the Simpel facebook page! I think I’d do the gray band with the pink face… these watches are so cool! Thanks for the giveaway! So very cool!! I’d enjoy the Tangelo band w/tangelo face! I “Liked” the Simpel Facebook page also! LOVE these! pink and white is my favorite! Maui with snow, or stone with maui or mamba! What a cool watch!! I would definetly pick the stone band with the tangelo face. I really like the white but I also have boys and it would end up filthy from little hands. Thanks for the giveaway!! I also “liked” simpel on facebook! I also ‘liked’ simpel on facebook!! I think I would have to say the Snow Band with the Maui or Stone face! So cute!!! I’m thinking a snow band and maui face, but then I liked the stone and stone, too…so many great combinations! I just “liked” simpel on facebook! I like the Maui band w the snow face. I would pick the tangelo one. mamba with the laguna face. I think it looks totally rad. Oh wait rad was from the 80s. I might be boring and just go with black and white, but then I could share with my hubby! I would do the stone band with the maui face! I “liked” them on facebook. Thanks! Love these! I would have to choose the black band w/ pink case! But they all are fantastic! I like the Stone with the Tangelo face (and vice versa) but also love the mamba with maui face. Love them all- have to have a maui with stone! I liked Simpel on FB. One click, easy peasy. I would do the snow band with the Maui face! So hard to decide! I love the simple look of the white on white! I already have 4 slap watches…I am kind of addicted…plus I got then for free, but I am really diggin that these have SQUARE faces and the very vibrant colors. Seriously. So cute. I like the tangelo and stone a lot! I liked simpel watch on FB! this is a hard choice! I would pick Maui. . . I would get the snow white band and the bright pink watch face, so cute! I like Simpel Watch on fb! I would get the mamba band with the maui face. I would choose the white (snow) with the fuschia pink face. Love it! I’m pretty boring but I think I just like the white on white to start. Then I’d branch out! These watches ARE fun! I think I’d like a red one. I would do the snow with maui combo. Love it! I’d pick the stone band with a black face. facebook page liked. when is the winner announced? P.S. I like them on facebook! Stone band with tangelo face, it would be perfect for my workouts! I would get the tangelo watch with the laguna face. These would be sooooo much fun!! I liked them on FB, also. I would choose the stone with maui I think. It was a hard decision they’re all awesome! I would pick the stone with snow combo. I would do the snow/Maui combo! So cute!! Laguna body and a white face… love it! All the combos are great!! But I love the orange and pink!!! I liked the simpel Facebook page! I love all the face color combinations with the white bands but my favorite combination is the pink face with the stone (grey) band. So cute! I also liked Simpel on facebook. I would get the stone band with snow face. Love these! I finally know what to get my brother for Christmas. Thanks for sharing! I would definitely get myself a pink one with the white face. Lovin’ the mamba band with the maui face. I liked simple on FB! I remember those slap bracelets. I would love to win this! Oh and I definitely started following them on Facebook. The Tangelo would be my pick. These are awesome. I love the snow band with pink or grey face. So fun! So cute!!! I like the grey band and orange face! I would like laguna with a snow face. I liked Simpel on FB. Mamba band with stone face! These are awesome! I can’t decide pink or white! Love them both! Maybe white I love a little bit more! I liked Simpel on FB too. I would choose the Snow band with the Maui face. I think. The choices are difficult! I “liked” Simpel on Facebook! This would be perfect for my 10 year old. I’d get him black/black because he’s cool like that. I would use the mamba with the laguna face! Super fun! Oh I love these! I would want the pink and with white face!!!! I like the stone band with the maui face. I also went and “Liked” the facebook page!!! It’s so difficult to decide… I think I’d go with either a gray or black band, and a white or pink face… I’d probably just buy multiple colors if I’m being honest. You won me over – I liked them on facebook, and I’m strongly considering buying some for presents. Strong work! I’d probably do Mamba with a Stone face, but if I wanted to get fancy, I’d buy the blue. Tangelo band with the Maui face…love pink and orange together! Stone and stone! Love them! Ooh! I’d love a black one with a white face or visa versa!! These are so cute! Pink and Orange, of course! Might have to share with my kids though… Love it! I want a pink and white one! So cute! I also liked their fb page! I liked Simpel’s facebook page! Mamba with stone, or black with gray. So fun! it’s all about keeping it “simpel” for me. i’d do white on white or black on black. lovvvve these!!! I “like” Simpel on facebook. I would love a snow band and a maui face. So cute!! i was having a hard time to decide, but i would probably choose between a pink band and a white or grey face. those are super cute. I love the white band with pink face! I “liked” Simpel’s facebook page! dh would love stone with a tangelo face. fab color combos! I like the Stone band with the pink face. I’d go with mamba watchband and maui face! liked their facebook page too!! Love these! I like the Maui with a snow face! I also liked Simpel on facebook! Oh these are so fun! I like the Snow with Maui face or Tangelo face… So hard to decide! I would like the Snow watch with the black face! I would love the snow band with the tangelo face. What a lovely watch! I love the stone with the white face! Ohhh, how cute !! I would LOVE, love, love a Black band with Black face ! Snow with the Laguna watch face. I love these! They remind me of an adult version of the swatches I had when I was a kid! The colors are great…I would either pick Mamba with the Stone face or the Laguna with Tangelo face to support my Gators! I would buy the choose the red watch with the black face. I would love the snow band with the Maui face-super cute!!! I need the tangelo in my life…and of course black!! Definetely maui band with pink! I like the Mamba band with the Stone case. Crossing my fingers! I also liked Simpel on Facebook! Definitely blue. Maybe with white. Good ol’ BYU colors! I would choose the pink band with the gray face, just because I like the color combo! Either snow band with a maui face or mamba band with a maui face. I can’t decide. I also like the blue and orange for Boise State! Oops! Dumb iPad!! Blue and white! well this all depends on if it’s for my hubby or myself! For him I’d pick the mamba strap with the stone face. For myself I’d pick the snow strap with a maui face. ….I think. What a tough decision! The black with pink face is adorable!! I like the Maui with the snow face or the snow with the maui face. I ‘liked’ it on fb! So hard to choose just one. I guess white with stone face. Thanks!!! Love the stone with pink! I loved slap bands when I was a kid! I love the Tangelo band with Maui face, although they all look great! These are so great! I love the Stone with the Maui face. Thanks so much guys! So cute! I like the white “SNOW” band with the grey “STONE” face. Mamba & Tangelo or…..Tangelo & Stone. Thanks for doing this gals! I’m sure you’ve made Nate very happy! I already own one- but I might have to ask him for one in Tangelo! I would probably go for the pink and white combo. I love the grey color, its so cool and would go with anything! Cute watches. My favorite color combo is the Snow. Mamba with Tangelo face. My son would love this – well Both sons would love this! But the Black and orange are the school colors! I love the mamba band with stone face!! Oh my! This would be perfect for my son who is leaving for Brazil on his mission in March! Black and grey would be my choice! Black base and either hot pink or blue face… thy are so fun!!! Oooh! Definitely the tangelo band and maui face! I LOVE bright, energetic colors! I’m keepin it “Simpel” – I like the white watch with the white face. i love the snow band with the tangelo face… or the tangelo band with the maui face. such a fun idea! i loved those snap bracelets. I’m thinking Snow or Mamba band with Maui face if I give it as a gift to my teen or Tangelo face if Santa gets it for me. black band, white face. Cute watches. Love the Stone band with the Maui face. I love the black with the maui face or the snow with the black face….actually any of them are way cute! Pick me Pick me! Love the snow, it goes with everything. Black band and hot pink face!! This would be the perfect watch for work! Since I work at Home Depot I would get the Tangelo band with the snow face. I *love* the stone band! I think it looks great with all of the faces, but I especially like the gray/white combo. Looks so sleek! I love the stone band with the maui face. Such a great giveaway! The creator of Simpel is my childhood friend, too! I would love to have the stone watch with a white face. Please and thank you!! I also just liked Simpel on facebook! I LIKE simple on fb! I liked the Simple facebook page for an additional entry! Stone watch, white face. These look really cool! My favorite is the stone band with laguna faceplate. I love love love the pink. I would go for the pink with a white face – or maybe white with a pink face. Decisions, decisions! I like the maui band with stone face. or if I were going with school spirit in my town the tangelo band with mamba face. Or for state football spirit, laguna band with tangelo face. Perfect stocking stuffer for the hubby! Leather bands never survive long for him – maybe he’ll be able to wear these! I definitely pick the snow band with the maui face. love the white on white combo, so sleek! I would want the white with white. Can’t argue with wanting something to go with everything! Love these watches! Maui band with the stone face. I’d really want the snow band with the maui or stone face. But white on white would be awesome, too. BUT, I’d be afraid the white would rub on my jeans and turn bluish gray. So I’d maybe go with maui or stone band instead. They’re awesome. Slap it like 1991. HA HA. Gosh it makes me feel old. I love these watches! Thanks for introducing them to me. My favorite color combo is, the snow band with a maui face! I just ‘liked’ the Simpel fb page. These are so cool!! I think my pick would be the stone with the maui face. So cute!! I would pick the mamba band with the laguna face. Love them all! Will have to go with tangelo with a white face. black band, stone face…. that would match everything. or else something a little funkier- maui band and white face? they all look fun! Oh and I also “liked” it on facebook! i would choose snow with tangelo face, or maui face, wait… tangelo. they are both so great! Stone band and maui face! Or maybe stone and tangelo, just because tangelo is so nice to say! love the pink face white band! White with a blue face–for my daughter—this is perfect for her!! I “like” them on facebook–who doesn’t like the slap-it style? I like the blue face with a white band. Super cute! I like the white band with the pink face. Oh, and I “liked” the facebook page too. My daughter would LOVE the maui band with the snow face. I like the Mamba band with the Stone face 🙂 Fun! I love the Maui and Snow combination. Pink is my favorite color! I would love the pink/white combination! Snow band and a snow face would be awesome! Cute watches! I’d pick the STONE band and the LAGUNA face. SO cute! I really like the white band with gray face. Or the pink band with white face. I would love white with an orange face! So cute!! These are so fun! Thanks for the offer!!!! I would have to choose to match my Mustang – white band, black face. My Mustang girl friends would be so jealous & have to have to match theirs too!!!! I like Simpel on facebook too! I like the pink face with the black band. I also liked them on Facebook! Hard to choose, i like them all! I think I’d pick white band with pink face! So hard to pick one! I suppose I’d do a snow band with maui or laguna face. Thanks for the opportunity! I would do the snow band so I could mix and match all the different color combos! I like the maui band with the laguna face! 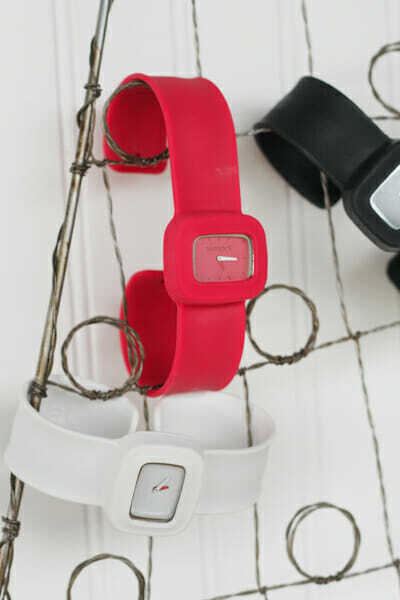 I like the red band with the black face! I would love the color “Snow” I think it would probably go with anything with the interchangeable faces!! So cute! “liked” the Simpel FB page! These watches remind me of the Swatches we had in the 80’s. I love the color combos with any of the Maui and Tangelo line. Stone band/Maui face – love it!!! I like the mamba band with a snow face. I think the gray or black with the pink face would be a fun combo!! Mamba with a black case- for one of my boys:) You guys rock! I think I’d go with tangelo and snow! I would love to have a snow band with a stone face! I would ask for a blue face and orange band to show some school spirit! What great gifts! Love the black band with white face. Cheers! I like the mamba band with the snow face, seems very classic! I do believe I love the SNOW the best!! These are so cool!! My favorite is the white band with the maui pink face. Hard to choose – but I think I’d go for stone and laguana. Snow and Maui…….can’t get any happier looking than that! Since my daughter would be the one who would claim this, I would pick Laguna with a black face. I would LOVE a pink and white one! I would get white with a white background. Maui with white and gray faces! Im basic… I would love the black & white! I would do the Snow band with Maui face! Stone band with the maui face is such an awesome combo! I’d love the grey and orange! I’d pick the stone with the snow face or maba with the snow face. White on white. Classy and yet sooo 1991. Love it! I like the stone and blue combo! What cute watches! Thanks for the opportunity! how cool! Black band with a white face! I would do a Maui band with a Stone face. That sounds kind of funny. So fun and cute. I thought I was the only one loving slap bracelets from the ’90’s! Stone and snow would be super cute! I love these! I especially laguna with a maui face!! I would get a white one with an orange face… These are rad! I love the snow band and the Laguna…what a pretty blue. Now I’m off to like on facebook. i love these watches! so versitile and could easily go with anything!! I would choose the Snow band with a Maui face. I really like the mamba band with the maui face. These are super cute!! I like the mamba band with the snow face. I like the mamba with the pink face. Can’t go wrong with Mamba. I would do the Snow on Snow, these are so cute! Definitely tangelo with stone face. So fun! I like the white band with pink face. Love these watches! I can’t decide between the pink or the tangelo!!! But either way I would get a white face. Thank you for the giveaway. I’ve been thinking about changing up my watch options for a while now and these are great! I think that Laguna blue is my favorite…it was a hard choice! I love the stone and maui combo!! I liked the fb as well. And I liked their facebook page. I will definitely have to buy these for my nieces. Thanks again! How cool are these watches. I would love a grey band w/ a pink face. White w/ a gray face would be super cute too. My daughters would love these. Perfect for Christmas stockings. Tangelo with grey would be prefect for my soon. i “liked” Simpel on FB! I like the maui with the snow face plate! And I’ve “LIKED” the Simpel FB page also…thanks! I would LOVE one! I’d pick the Mamba Band w/ the Snow Case OR the Mamba Band w/ the Maui Case. THANK YOU!!!! Those are soooooooo COOL! I like the stone with the white face. Thanks for the discount code. I’m going to order some for Christmas gifts! Snow band with maui face! Love it! Snow on Snow, they are awesome, love it! I love the snow band with laguna blue face! I would be loving the gray band and pink face 🙂 Those are really cute, I am ordering some for my teenagers either way! I would do the snow band with the maui face. Awsome. I would love the mamba with the maui! Love them all. Would choose either mamba or snow and probably a pink or red face. I would have to go with the Laguna and the Maui combo, SO CUTE! I’ve decided… white and Maui. I think. Snow with a Maui face! Thanks! What a cool watch! I love the snow band with the maui face! Great Christmas idea! Thanks! Stone band with maui face. Liked Simpel on FB as well! I’d go with a maui band and a tangelo face! I love the Mamba band with the Maui face. They’re all fun colors though. These are awesome! I love the pink watch with the gray face. The white band with the tangelo face would look so good! And I liked their Facebook page, as well. Thanks! What a fun watch! I think I like the pink band and orange face the best. I also “liked” Simpel on FB! Laguna band, Maui face, fun, fun! I would go with stone band with Tangelo face! Beautiful! I am partial to the whites, they are nice with the color faces in them, as shown on the site. They do look like they could be used as a small weapon!!! I love the snow case with the white band–so clean and fresh looking and SIMPEL! I also Like them on facebook! I LOVE watches! I think these are neat, brings back memories! I would do the stone face with pink face. Finally! A watch my daughter can wear. She is allergic to metal watches and this would be perfect for her. I would have to ask her what colors she wants but if it were for me I might get the stone with a laguna face. The price is a good deal too. I’d choose the white band with pink watch face. I love the black watch with the blue face…. MY DAUGHTER WOULD LOVE ONE OF THESE, I THINK SHE WOULD LIKE THE STONE WITH LAGUNA FACE!! For a more reserved look, the stone band with the snow face. I ‘liked” them on FB. I’d love the snow wristband with the maui faceplate! I’d go crazy — Maui band with Snow face. Though I’ll need two – the Stone band is too awesome to pass up. I would choose the laguna with stone face and I also “liked” on facebook. I like the snow band with the Maui insert. So fun!! how fun!! i love the gray with orange, blue or white. fabulous!! I LOVE, love, LOVE the stone band with mamba face combo for my 17 year old PICKY, picky, PICKY son!!! Too many decisions! I would probably go all white. Oh, and I “Liked” them on Facebook, too. I would like snow on snow & I liked Simpel on Facebook! STONE band with MAUI face! and thanks for introducing these… they are so fun! Double my entries! I “Liked” on FB. And I have another fave color combo, after reading someone’s idea to match to your shoes — Mamba band with a Maui face. Perfect match for my Vibrams! Liked them on facebook too! just liked ’em on facebook! I would probably go Maui band with Stone face. (However, I must say I’m slightly disappointed they don’t have any in purple. If they did that’s the color I would go with. LOL). I like the Mamba band with the Laguna case. Love the snow with maui face! So fun! I like the snow band with the pink face. I guess I’m just a blue gal. I’d pick the blue on blue. This is so cool! I really like these watches! I would choose the mamba strap with the maui face OR the maui strap with the snow face. I can’t decide! They are all so cool! I love, love them! I would pick a stone (gray)band with a maui (pink) face. I think I might have to get one of these for my son! It would be great to win! Love them! How am I supposed to pick just one!! mambo with a maui face! How Fun!!! It is hard to choose just one. I like the stone band with the tangelo face or the maui face. So many great colors!! Thanks for the opportunity to win one!! I would love to have the Maui and stone!!! Maui and White snow for sure. Either combo of the switch band and case. This is being added to my christmas list for sure!! i’d love the snow band with the maui face. I definitely think the stone band with tangelo or white face. But my husband would totally be game for a tangelo and blue combo. Go BSU!! 🙂 Liked on FB as well. Thx! How cool!! I would like a stone band with Tangelo case. I like the snow band with maui face!!! I’m thinking the mamba strap with the maui face. I really like the maui but i don’t want to have an uber bright strap. I also “Liked” Simpel’s page on Facebook!! White on white…clean & “simple”! I “liked” (but really loved) Simpel on facebook! Just went to their website & bought one for a Christmas gift! I liked their fb page too. Thanks for the code! I think I’m going to order some for Christmas gifts! I would choose the mamba band with the maui face! My daughter would love the Stone or Maui band with a Snow face. Very cute! I like the gray and pink one! Hope I win! Samba with Laguna face. For sure! slap on!! Tangelo band with the Maui face! Loved the Laguna blue with white face. Great gift idea! I like the maui band with the stone face. This is so cute. Mamba band with Maui pink face, please!!! Thank you! i love the snow band/maui face combo! Snow and Laguana! although the Mamba would go with anything! I just “like” them on FB. I would love the Maui band and tangelo face or vice-versa. We just returned from Maui and this would be a great memory! I would get white band with a maui or stone insert. I liked their page on fb!! I think I would want the snow and pink combo. These look really fun!! Love any with the Tangelo!! Love the pink with the black face! I would chose the stone (gray) band with a tangelo (orange) face. i love the snow/snow combo or snow/stone! Love the Snow band with Maui face. What a neat watch! What a fun idea. I like the white band with the pink face. I’d choose the blue and pink – cool! Love the watches!! The ‘snow’ would be a great winter prize! Snow watch with the Mamba face … THESE ARE SSSOOO COOL !!!! I wish facebook had a “love” button… but I did like!! I would choose white with pink!! I like the Maui band the with stone face. I like the Maui band with the white face! Definetly have BSU fans at our house, so I’m sure I’d have to go with a laguna band with a tangelo face. I love the look of the Simpel, the white really appeals to me, but I think my daughter would like it also. Those are awesome! I would love the gray on gray! Simple yet fun. I liked it on Facebook! Enter me again baby! I would love a black band and stone face for my soon to be 12 year old whose birthday is right after Christmas! I’m thinking stone with a white face. Thanks for the great idea…my 13-year-old neice is SO hard to buy for!